Only a couple of days ago, Los Angeles FC played out a 1:1 draw with their local rivals LA Galaxy. 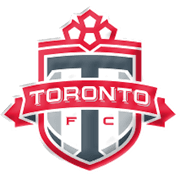 Day after, Toronto defeated their local rivals, Montreal with a score of 3:1. Coming into this match, both teams are in similar form and very inconsistent. This match will be played in Toronto, at the BMO field. In this Eastern vs Western Conference matchup, Los Angeles can be considered favorites as they are 3rd in the table while Toronto is in a lowly 9th place in the standings. Only Atlanta United have scored more goals than Los Angeles FC this season out of all the MLS teams. The attacking trio of Diomande, Vela and Rossi have all scored goals, as well as the subs, Blessing and Ramirez. They all have a great incentive ahead of kick-off because, with other results going their way, they could go top of the table in the Western Conference with a win over Toronto. Sebastian Giovinco is the Italian football ace who plays for Toronto FC as a forward. His side position is attacking midfielder and he is undisputedly the team’s key player. Giovinco began his senior career at Juventus and he played for the likes of Empoli and Parma on loan during his spell at Serie A as well. The 162-cm tall footballer joined Toronto on January 19, 2015 and he has been playing for the Canadian outfit ever since. Giovinco scored 21 goals in 34 league fixtures in the 2016 MLS campaign and he is likely to play an important role in Greg Vanney’s team in the 2017 season. The Italian star made his debut for the Azzurri on February 9, 2011 in a 1-1 draw with Germany in Dortmund and it has to be noted that he won a silver medal with Italy national football team at the 2012 European Championship. Sebastian Giovinco was born in Turin on January 26, 1987 and in May 2013 his wife Shari gave birth to their first child Jacopo. Seeing that Los Angeles FC will be competing in Major League Soccer from the 2018 season, the club chiefs did well to reinforce the squad. Several high-profile players joined the club in the winter of 2018, with Mexican ace Carlos Vela being the biggest name to sign a deal with LAFC. The new expansion team will host their rivals at Banc of California, the stadium which is planned to be opened on April 29, 2018. The venue should hold up to 22,000 spectators. Los Angeles FC will be coached by Bob Bradley in the 2018 MLS campaign and they will be wearing black and gold kits in the USA professional soccer league. Speaking of their bitterest rivals, there will be fireworks when Los Angeles FC face LA Galaxy in the Major League Soccer. District 9 Ultras and Black Army 1850 are considered the club's biggest supporters groups and it has to be noted that they used to support Chivas USA. 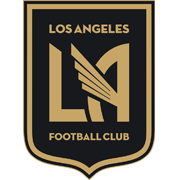 Los Angeles FC were founded on October 30, 2014.